One of the things we’re tasting on this journey are donuts from around the world. But there was one donut that smelled so awful we couldn’t eat it. 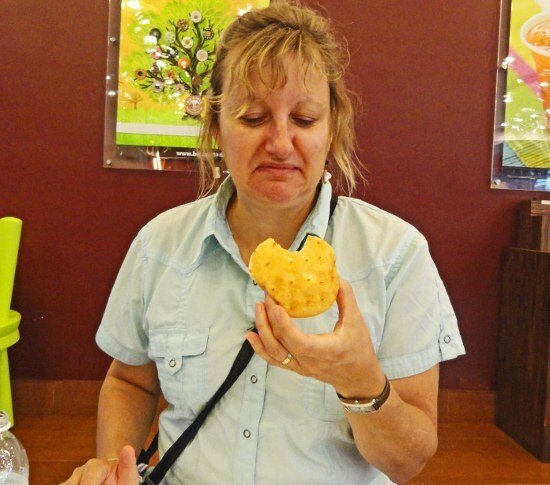 It pains us to even think of donuts in a bad way, but we met our match in a durian donut in Malacca, Malaysia. 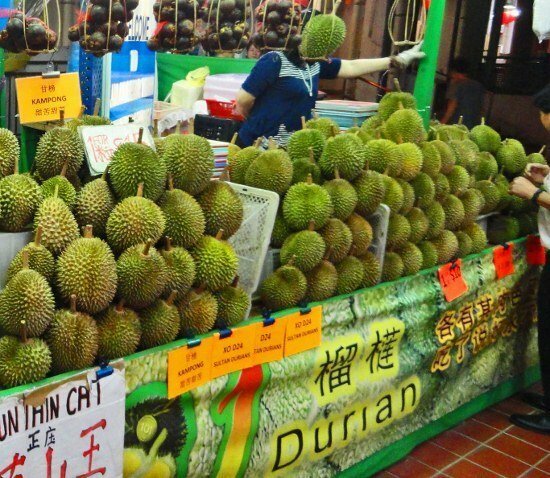 It appears this vendor at a night market in Singapore let her love of durian go to her head. 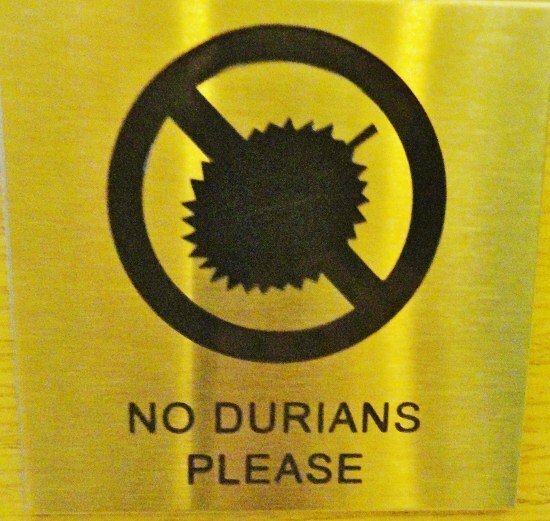 Signs banning durian indoors are common throughout Southeast Asia. 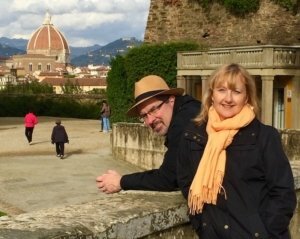 We were walking around Malacca (which is a great place to visit with a unique culinary heritage) when we saw a sign for “Big Apple Donuts.” Though we’re no longer surprised when we see New York City food references in far-flung locations, we decided to check it out. The durian donuts are filled to order so they don’t stink up the other donuts, or perhaps the bakery and drive away customers. We saw one tray of donuts off to the side that looked spiky, like a puffy version of a durian fruit. 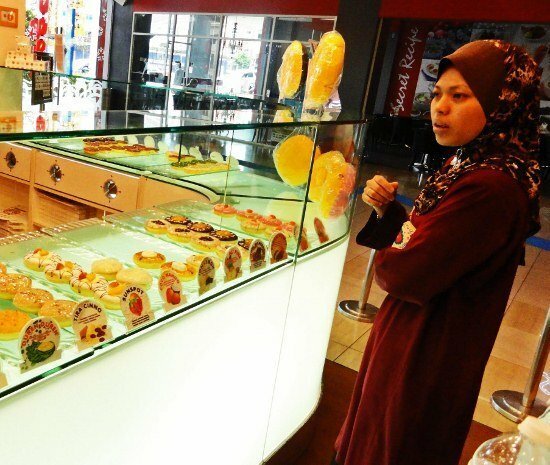 At many shops in Asia the donuts are given names with cute plays-on-words. 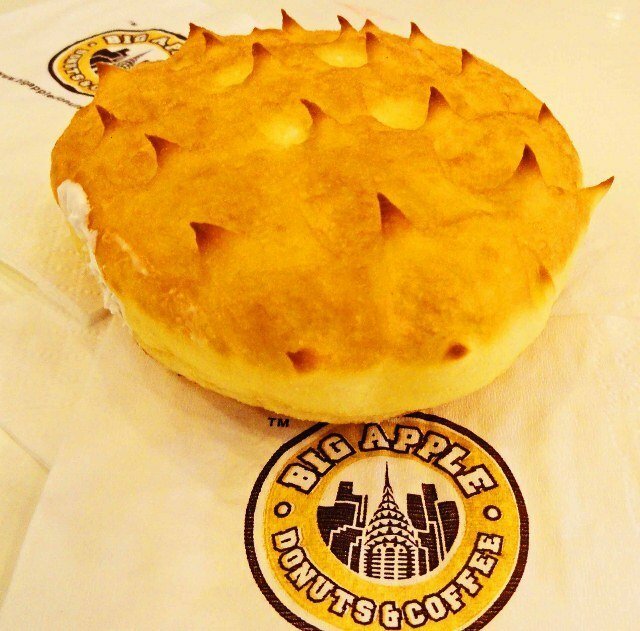 So naturally the durian donut was called “Durian Durian.” This made us hungry like a wolf so we decided to try one. The lady behind the counter explained that they are filled to order and we soon understood why. We took the donut to a table where Michael served as the guinea pig for a durian donut taste test. 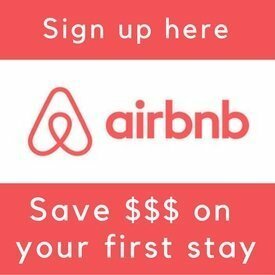 Click the white arrow below to watch a video of it, but first a warning, the results are not pretty. Larissa was a bit skeptical of my reaction so she tried one herself. Click the link for more donuts around the world.